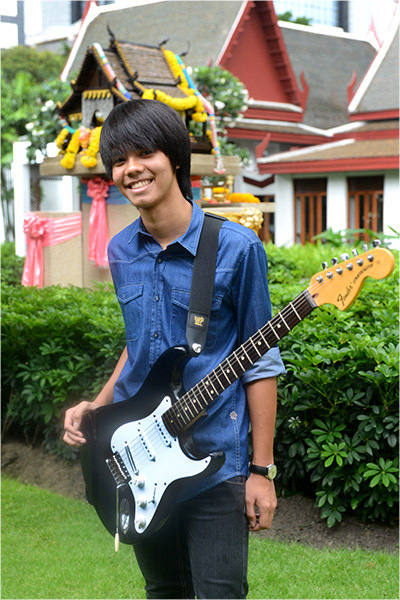 " Song Chitipat (born June 10, 1995) is guitarist & composer from Bangkok, Thailand. " Song took guitar lessons from rock style guitarist, Jack Thammarat. He continuously took more advance lessons from famous guitar instructor in Thailand, Ajarn Prart Aroonrangsi and attended Srinakharinwirot University for studies in music at the same time. He has joined many competitions. In 2009, He’s the best of the rest of Guitar Idol 2009. 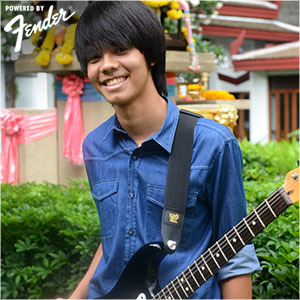 In 2011, He’s the third of Overdrive Guitar Contest in Thailand. Competition and Singha Master of the Band. Today, he has a band named “Joshua”. They’re funk & pop style. They have a single named “Stay the Night”. You can follow them on Youtube Channel.